The United States is a country full of many different people from all over the world, and a larger and larger portion of the population are native Spanish speakers. This can make getting dental care difficult in unique ways, and makes many people avoid it altogether. They don’t want to go into an office and not be able to understand the doctor or staff, and don’t want to burden a member of their family to be a translator. That no longer needs to be a worry. 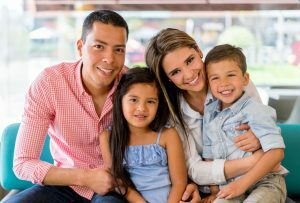 We here at Cayo Dental Care are happy to accommodate these patient’s in their own language so that they can fully participate in their experience and have peace of mind. Estamos encantados de ser su dentista en St. Louis. One of the most essential parts of a relationship between a patient and a dentist like Dr. Krista Cayo is trust. Dental care can be very nerve-wracking for many patients, so this trust is important so they can feel comfortable and welcomed when they come into the office. This can be difficult to establish if there is a constant language barrier. Tiny details often get lost, and this can make all the difference in how a person feels. Plus, it can be very awkward when people are speaking a foreign language around you, especially if they are referring to you. In order to help more patients, Dr. Cayo and her staff are happy to conduct all consultations and services in Spanish. This will help more people understand the type of care they are receiving, make it simpler for them to ask any questions, and obtain relevant medical histories. This open line of communication is also essential for after care, as a few answers to simple questions can make all the difference for a patient at home. It can also help many people get their independence back, as they don’t have to rely on a family member to be an interpreter. If you would prefer to speak Spanish when you come into Cayo Dental Care, please let us know when you make your appointment so we can make sure we have the proper staff to accommodate you. We’re always happy to use your native language so you can get the most out of your visits here. If you have any other questions about how we can better accommodate you on your next visit, please give us a call and let us know. Su dentista ahora habla Espanol en St. Louis.